A settlement in a class-action lawsuit means you could be owed $10 for one or more PCs you either own now or have owned in the past. OK, so $10 isn’t much, but it’s better than a kick in the teeth. Especially as submitting a claim will take just a few seconds of your time. 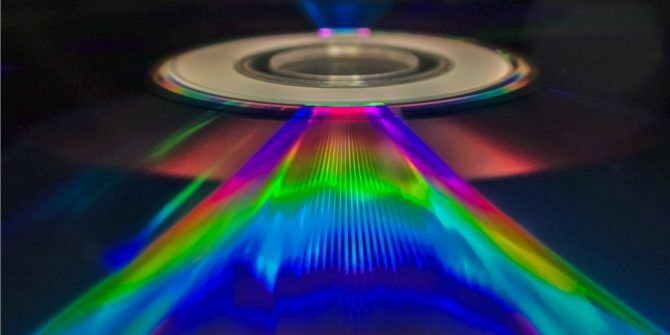 In 2016, a number of plaintiffs brought a class-action lawsuit against virtually every company that manufactures DVD drives. They allege that these companies conspired to artificially inflate prices, breaking antitrust laws. The lawsuit is still ongoing, but, as first reported by CNET, Sony, NEC, Panasonic and Hitachi-LG have all settled, and agreed to pay $124.5 million in compensation. Not only do you have to live in the United States, you’ll have to be a resident of Arizona, California, the District of Columbia, Florida, Hawaii, Kansas, Maine, Massachusetts, Michigan, Minnesota, Missouri, Montana, Nebraska, Nevada, New Hampshire, New Mexico, New York, North Carolina, Oregon, Tennessee, Utah, Vermont, West Virginia, or Wisconsin. Then there’s the question of proving you actually purchased a DVD drive in that timeframe. Right now, you’re not being asked to provide proof of purchase, but that could change after all claims have been submitted. At that point you may have to try and find a receipt for something you bought at least seven years ago. Which would certainly exclude me. It should be noted that even if you submit a claim there’s no guarantee you’ll receive $10. This is because the amount paid for each drive could change according to the number of claims and/or which other manufacturers decide to settle. So that $10 could end up being $1.24 instead. Which isn’t even enough to pay for one month of Netflix Why You Should Be Happy to Pay More for Netflix Why You Should Be Happy to Pay More for Netflix Every time Netflix increases its prices, millions of binge-watching users balk at the prospect of paying a couple of dollars more. But this is dumb, because Netflix is an absolute steal. Read More ! Do you think you bought a qualifying PC in the timeframe covered by this settlement? Are you going to bother submitting a claim? Do you think more money should be added to the settlement pot? Or would $10 be fair? Please let us know in the comments below! Explore more about: PC, Windows. Sounded great at first I've got 7 PCs that do DVDs around the house, then the years narrow it down to like 4, Still not bad, then the states narrow it to zero since I'm in Pennsylvania. I remember something very similar to this in 2014/15. it was open to claimants worldwide. I live in the UK, put my name down on the application form and forgot all about it. 18 months later I got a letter through the post with a cheque for around $30. Not bad considering I didn't have to prove I owned or had bought any electrical products. Cost me £5 to cash the cheque as it was in a foreign currency but cash is cash at the end of the day.